This is an experience you won’t forget. 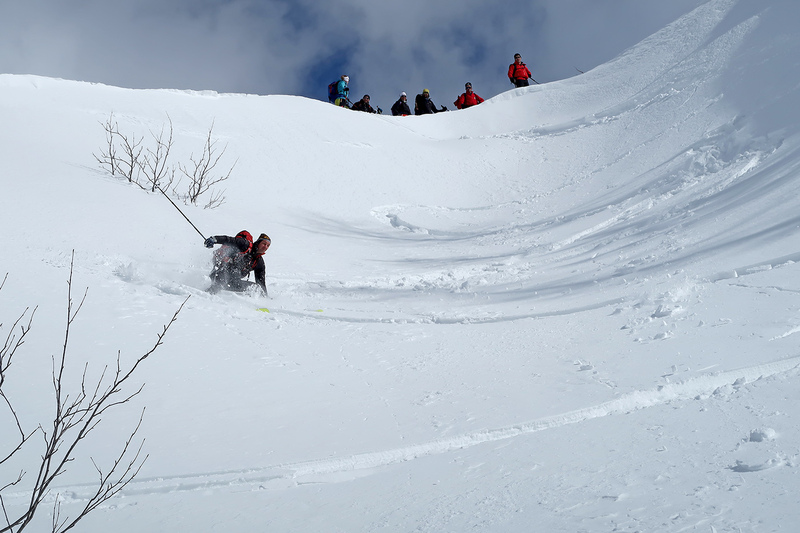 It’s an endurance test for you in a snowy kingdom far away from the hustle and bustle of life. Just you, your skis and your rucksack! 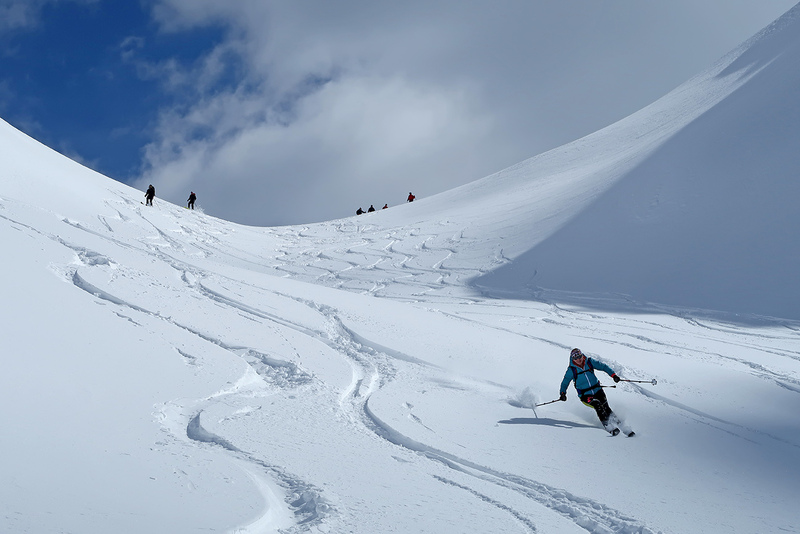 Three days of ski touring from Vogel to Komna, through the Seven Lakes Valley, over the Hribarice pass to Velo polje, and past the Kredarica mountain hut to the Krma valley. 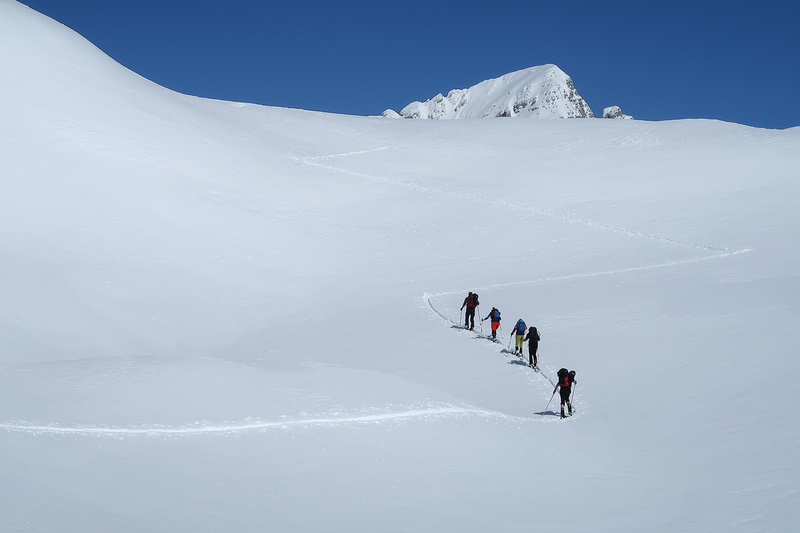 The Triglav ski traverse is the most magnificent multi-day back country ski touring trip in Slovenia. It’s known as the Slovenian ‘Haute Route’. 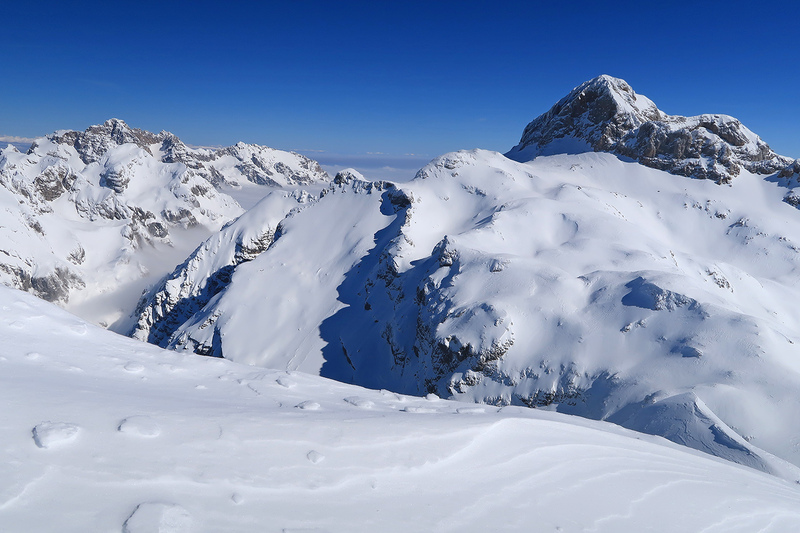 Ski touring enthusiasts started the Triglav ski traverse in the 1970’s. They marked it with winter signs on high poles and signposts on trees. The originals are still there, though these days they aren’t in good condition, and some of them are broken or barely visible. The area around the Komna plateau can be like a labyrinth, and on a foggy day it’s really tricky to find the right direction, which is why we suggest that you hire a mountain guide. 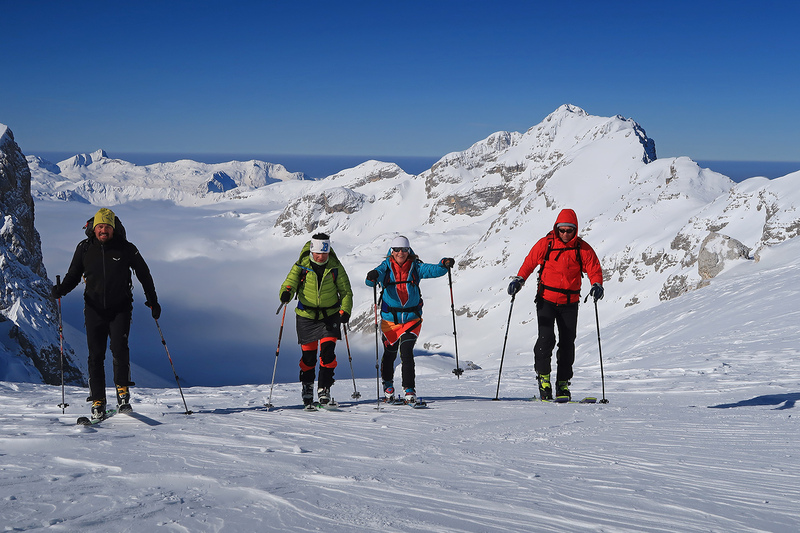 The original version of the Slovenian ‘Haute Route’ was recently modified by Slovenian mountain guides in order to provide a better experience. 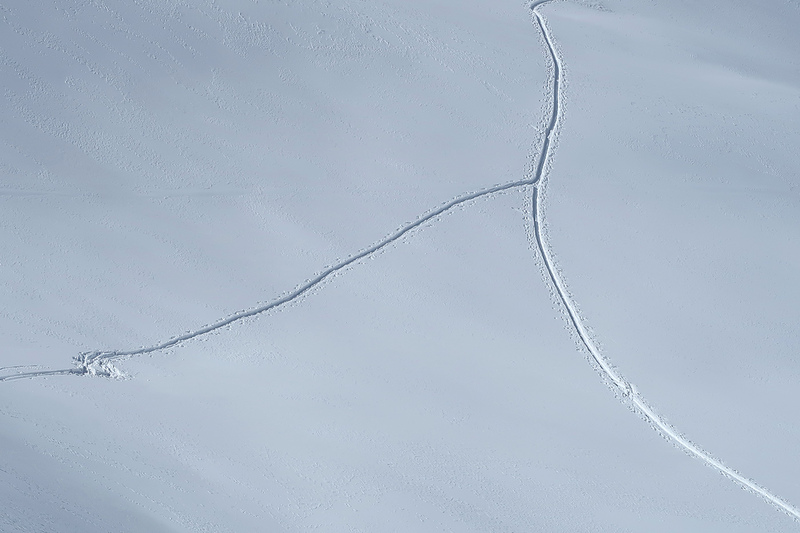 The ‘classic ski traverse’ has also been modified to include more actual skiing. So, it’s important that participants are in good physical condition. You can choose between a 3-day or 4-day itinerary. 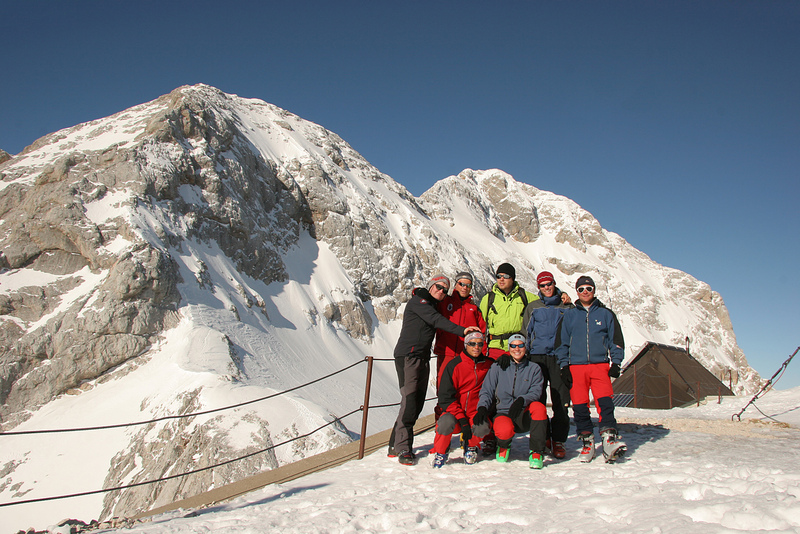 The 3-day itinerary does not include an ascent of Triglav, while the 4-day itinerary includes an ASCENT OF TRIGLAV. We will start our day by taking the gondola to the mountain ski resort of Vogel from where we will ski down from 1,800m to the Zadnji Vogel mountain pasture 1,424m. 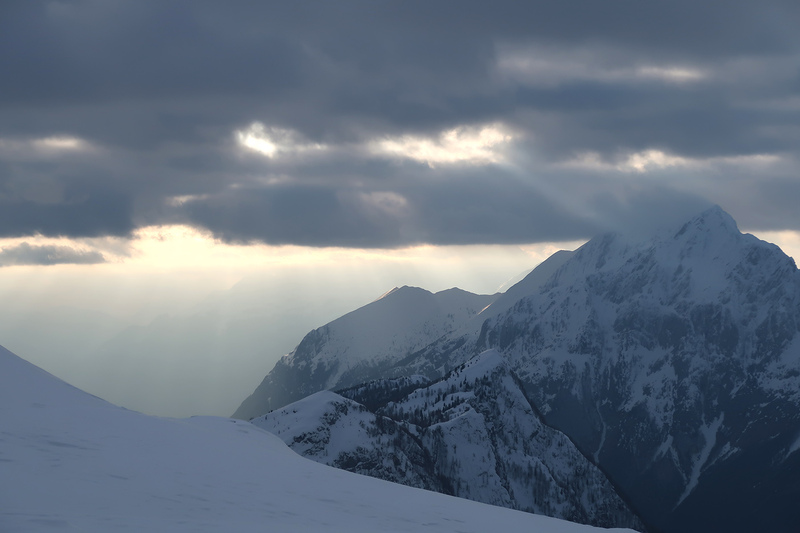 Here we will see first the signs for Triglav ski traverse. Through the forest we will find our way towards the west and ascend to the Konjsko sedlo saddle. We will ski from Snezna konta under Mohor, then uphill under the Podrta gora mountain and to Govnjaski kuk 1,850m, which is the highest point of the first day. Next enjoyable skiing will bring us 400 vertical metres lower to the Planina Govnjac mountain pasture at 1,474m from where we will proceed on our skis to finish our day at the Dom na Komni mountain hut 1,520m. Mornings on the Komna plateau can be really magical. We start our day by skiing towards mount Čelo. This route will take us under the mountains of Kal and Skril to the left and the walls of Brinje mountain to the right. On reaching the Velika vrata saddle at 1,931m we will continue the final part of the ascent to Čelo at 2,231m. 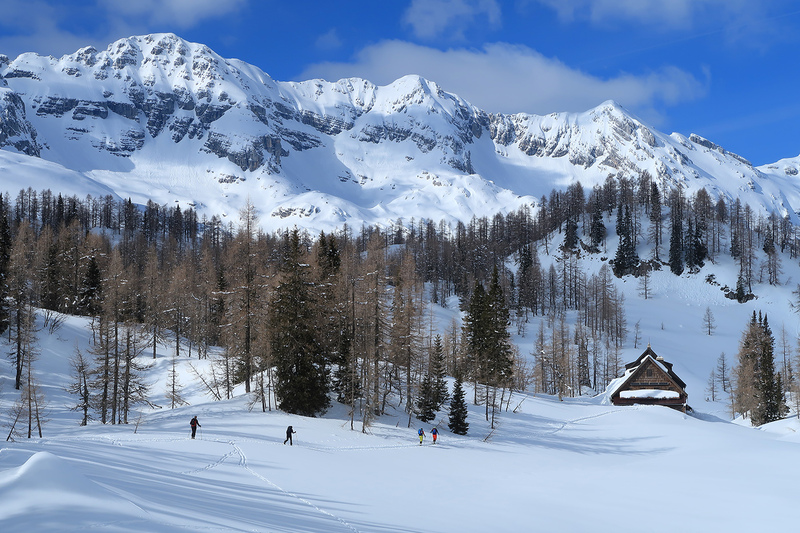 The first skiing descent will bring us to the Lopučnica valley from where we walk on skis to the impressive Seven Lakes Valley. In winter the snow-covered lakes makes the valley particularly beautiful. We will spend the night in the bivouac on Prehodavci at 2,070m. The renovated bivouac with 18 beds is a small basic shelter that provides only blankets and solar powered light inside. The views and sunsets from this site are spectacular. Your mountain guide will provide a simple dinner and drinks. 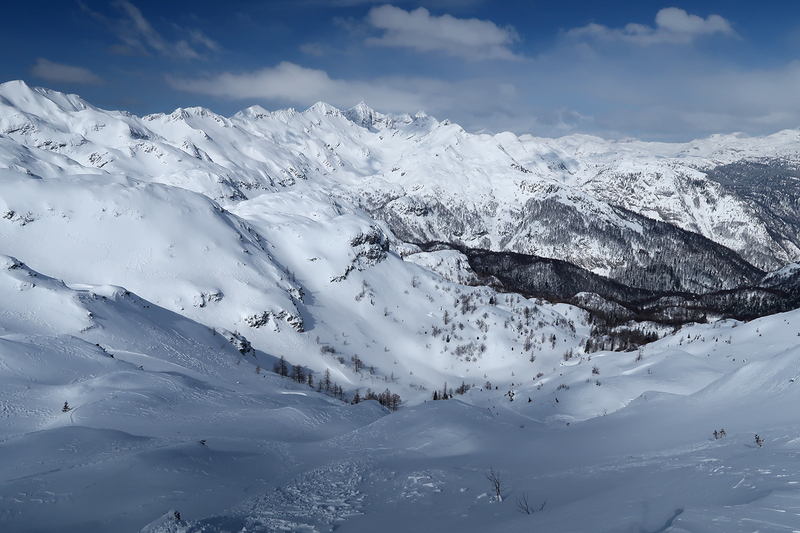 The alternative ‘Classic route’ goes directly through the Seven Lakes Valley to Prehodavci and is therefore much shorter but offers almost no skiing. From the shelter we will walk over the Hribarice saddle 2,358m to our highest point at the top of Kanjavec 2,568m from where we ski back to the Hribarice saddle and further down to Velo polje 1,690m. 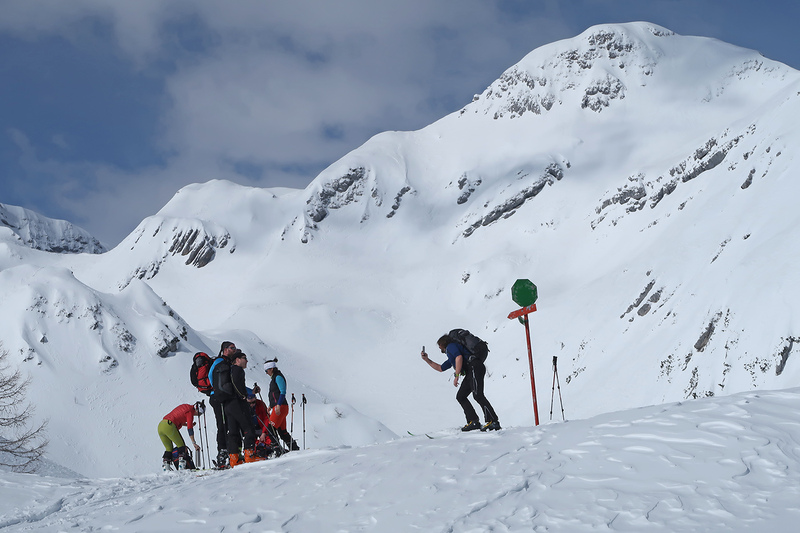 A short ascent to the Bohinjska vratca saddle at 1,973m follows from where we ski 1,000 elevation metres down to the Krma valley where we end our tour. Option one: We continue from Velo polje over the Konjsko sedlo saddle at 2,020m to the highest Slovene mountain hut on Kredarica at 2,515m. 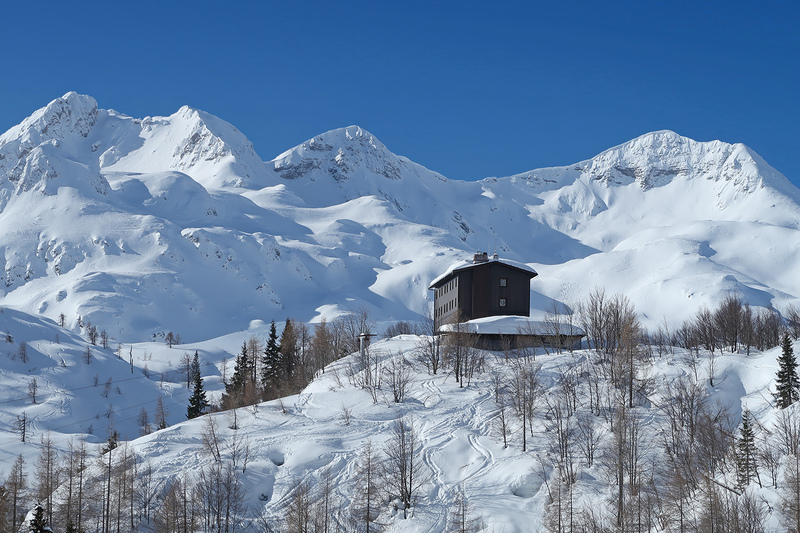 We spend the night in the hut and then ski down to the Staniceva mountain hut at 2,330m and onward down to the Krma valley. Option two: takes us to the top of TRIGLAV. 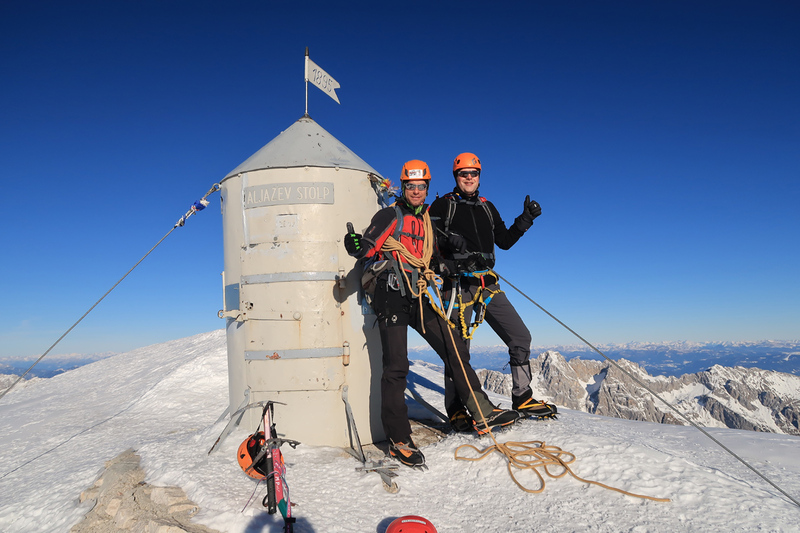 The third day is extended to include an ascent to the Kredarica mountain hut at 2,515m. 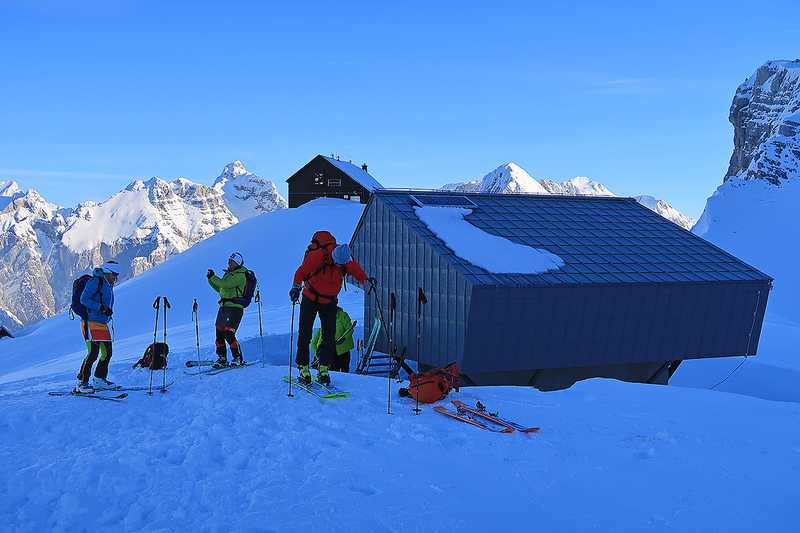 After spending the night in the hut the next morning a technical climb up to Triglav awaits us, followed by a descent and then we will ski down from the Kredarica mountain hut to the Krma valley. 3D PROFILE of our route.